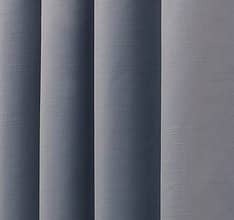 Our Pinch Pleat and goblet headed curtains are made by hand and pleated to fit your track or pole width exactly. 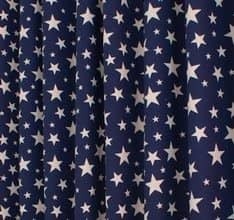 As these headings are fixed and sewn in place, they are not adjustable so it is vitally important that you quote an accurate track/pole width when ordering. 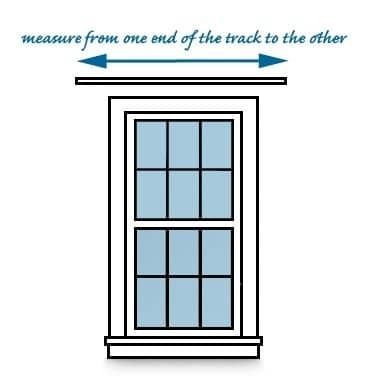 If you have a track, measure from one end of the track to the other. 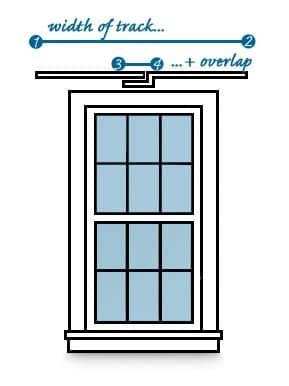 If your track has an overlap, measure the length of the track and then the overlap and add the two measurements together. 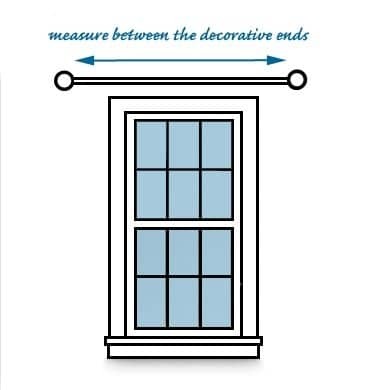 If you have a pole, measure between the finials (decorative ends). 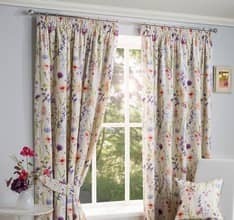 Pinch Pleat and Goblet headed curtains can be hung from either a track or a pole, but the important thing to remember when measuring for these heading types is that the curtain should sit below the track or pole. 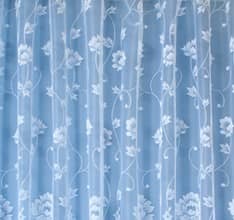 This is to allow the curtains to concertina back when open, enabling the fabric between the pleats to sit back in the space behind the track or pole. 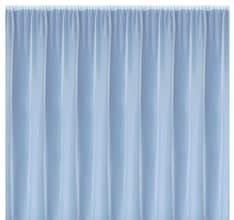 If the curtains hang from the top of the track or pole, then the fabric has nowhere to push back into and sits forward between the pleats, spoiling the tailored effect. 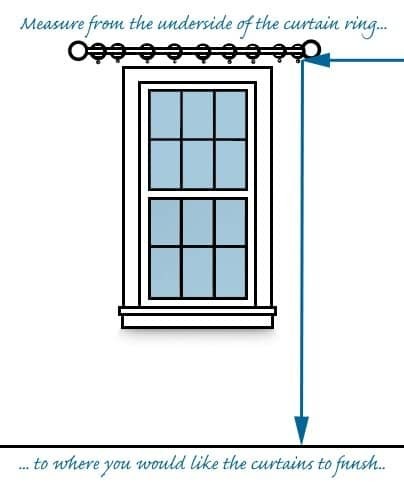 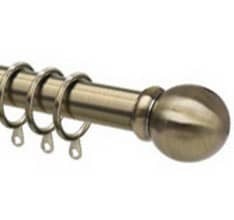 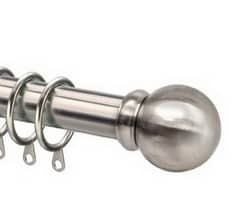 When using a curtain pole, measure from the underside of the decorative ring, to where you want the curtain to finish (see diagram below). 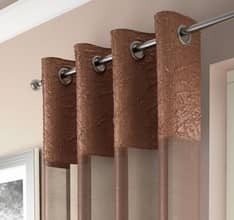 As the track or pole is exposed with this heading type, the best effect will always be created by using a decorative pole. 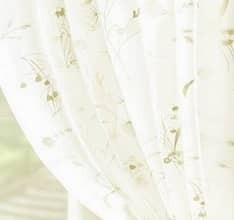 If you are using a track, then you will need to measure from the underside of the track to where you would like the curtains to finish. 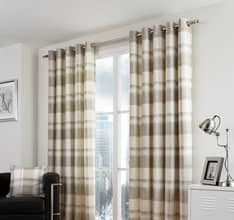 We hope you have the information you need to order perfectly fitting curtains but if you require any further assistance please do not hesitate to call us on 01953 603529 or email info@curtainscurtainscurtains.co.uk.